My research focuses on how planet Earth works. My group investigates the feedback and linkages between processes operating within the deep Earth and processes operating on Earth’s surface. The program is interdisciplinary and collaborative and addresses fundamental questions in the Earth sciences through the application of geochemical tools, primarily the noble gases. The different noble gases in planetary mantles and atmospheres provide constraints on the delivery and incorporation of volatiles into growing planets. 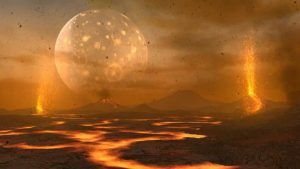 My group has found evidence for magma oceans and atmospheric loss during Earth’s accretion. We are currently investigating the origin of the atmospheres on Earth, Venus, and Mars. Noble gases provide a unique insight into the evolution of Earth’s mantle. Ocean island basalts (OIBs), such as those erupted at Hawaii, have relatively high 3He/4He ratios compared to mid-ocean ridge basalts (MORBs); therefore, it has been suggested that OIBs are derived from an undegassed, primordial mantle reservoir. 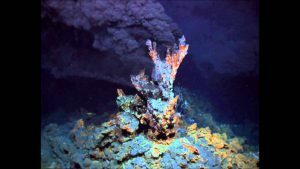 My group has focused on understanding the origin of these different mantle chemical reservoirs and their relationship to Earth’s formation and recycling from the surface and atmosphere. Sea-level changes associated with Pleistocene glacial cycles have been hypothesized to modulate melt production and hydrothermal activity at ocean ridges, yet little is known about fluctuations in hydrothermal circulation on timescales longer than a few millennia. We find that rapid sea-level changes influence hydrothermal output on mid-ocean ridges. Climate variability may influence volcanic processes on millennial timescales. 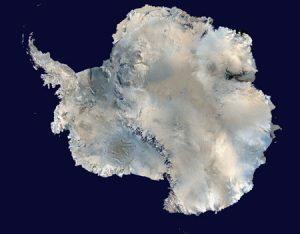 The complex evolution of the West Antarctic Ice Sheet provides a sensitive record of global climate change. My group has led several expeditions to Antartica to document erosion features and collect samples for surface exposure dating. Using cosmogenic nuclides for surface explosure dating, we have reported a history of the ice elevation near the ice divide and onset region of the Mercer ice stream. 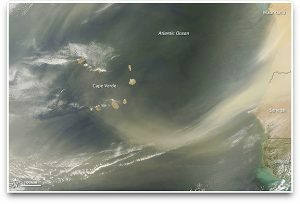 We found that corals record dust emissions from continents. We have used corals to document periods of drought at higher resolution than available from sediment records. My group has led new developments in multicollector noble gas mass spectrometry, particularly for the heavy noble gases. We are also pioneering new techniques for sample collection that minimize air contamination.